California Gov. Jerry Brown announced Thursday that he is withholding $50 million from the University of California in light of an audit last month that claimed to have found a stash of $175 million in secret funds while officials requested more money from the state. In his latest budget proposal for California’s 2017-2018 fiscal year, Brown said the money will only be released when UC makes progress in fixing its financial problems in addition to meeting other conditions set by his office, The San Francisco Chronicle reported. Brown said he wants more transparency and financial reporting from the school system. He also criticized administrators' salaries as being too high. “I put the $50 million (the amount he is withholding) in there to hold their feet to the fire,” Brown said. 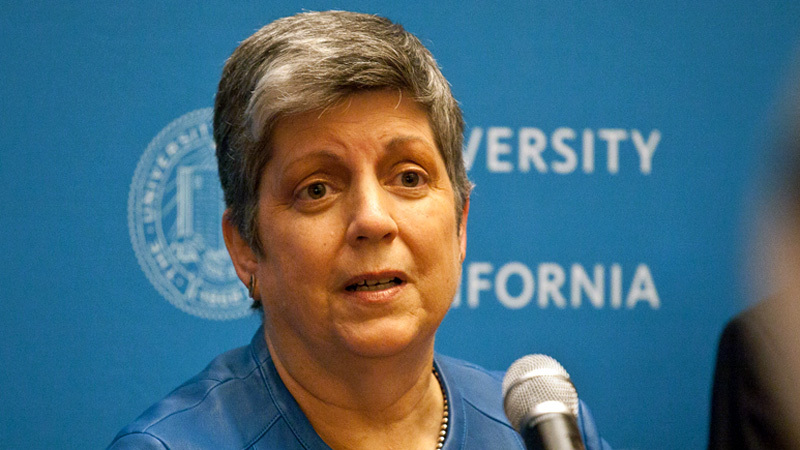 A state audit found that under university system President Janet Napolitano, former Department of Homeland Security chief, UC administrators hid $175 million from the public while increasing tuition and asking the state for more money. The UC Board of Regents in January voted to increase in-state tuition and fees by $336 next academic year. Some lawmakers called for a reversal of the tuition hike in the wake of the audit. When asked if he still has confidence in Napolitano as president, Brown defended her, saying the governing Board of Regents and others generally think she is doing a good job. State Auditor Elaine Howle told lawmakers earlier this month that she faced an unprecedented lack of cooperation from Napolitano's office while it was under audit. She detailed efforts by the office to edit responses from individual UC campuses to survey questions from auditors. Napolitano's office "inappropriately screened" the campuses' responses and altered statements and ratings that were initially critical of the office, the audit said. Napolitano said she coordinated with the individual campuses on their audit responses to ensure they were accurate. "My team made the decision to work with our campuses to ensure they understood the purpose of the audit and the audit's scope," Napolitano said. "I am sorry that we did it this way because it has created the wrong impression and detracted from the important fact that we accept the recommendations in the audit report." Another dishonest Democrat! She was a horrible governor of Arizona and should be held accountable for her actions!